There are a lot of hot sauces out there, and new ones are hitting shelves regularly. (The popular UK-based Nando's PERi-PERi recently arrived at US grocery stores, for instance.) Unless you're a fiend for burning sensations, it might be hard to know what you're getting into when you grab a bottle of the red stuff. If you only want a little heat, should you go with Frank's or Cholula? If you like a sweetness, do you need Tabasco or Sriracha? The folks at Sriracha2go.com have attempted to help clear things up. 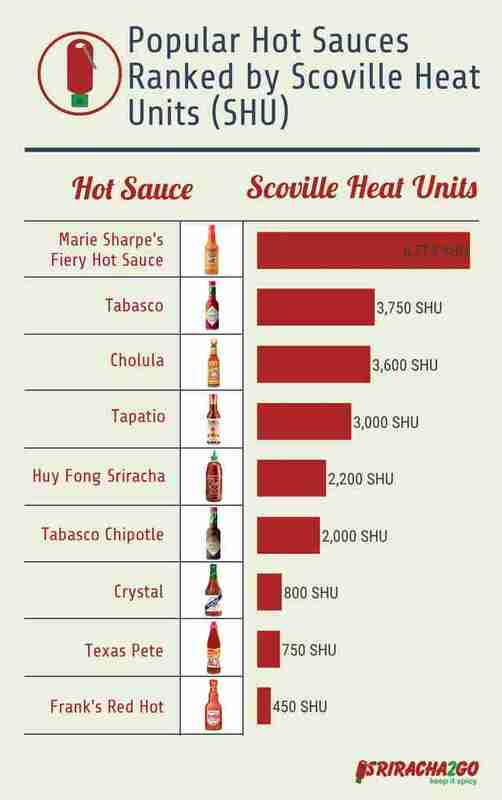 They have created a chart ranking popular hot sauces by their score on the Scoville scale, which ranks spicy food by the amount of heat it's packing. 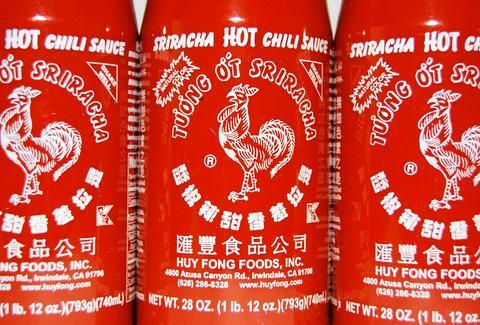 There are a few from the Thrillist top 10 hot sauces list that aren't present. One notable absence is Valentina (900 SHU), but the chart covers most of the major brands you see regularly at the grocery store. If Marie Sharpe's isn't hot enough for you, there are plenty of options to step it up to the next level. For instance, the new sauce from Hot Ones, Heatonist, and the PuckerButt Pepper Company is called The Last Dab. It registers 2.4 million on the Scoville scale. It's made with Pepper X, the new hottest pepper in the world. That's probably not what you're looking for, but there are certainly options if you're just looking to hurt your mouth. Dustin Nelson is a News Writer with Thrillist. For every day use, he's usually a Valentina person, but he tried The Last Dab and it hurt. Follow him @dlukenelson.